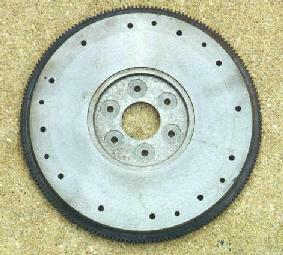 Ford manual transmission flywheels are identified with basic part number 6375. All 428 Cobra Jet and Super Cobra Jet engines were originally externally balanced by Ford. That is, external components like the harmonic balancer and flywheel play an integral role in balancing the engine's reciprocating assembly. 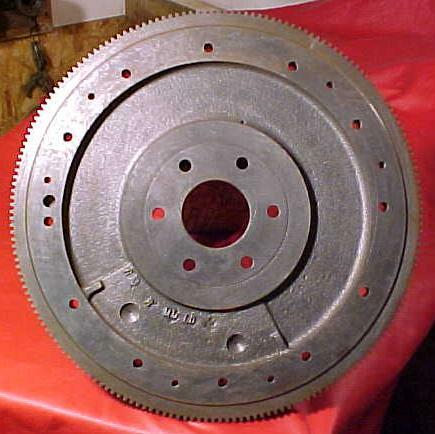 Original flywheels are made of cast iron for longevity, though racing replacements are available in aluminum to eliminate some weight. 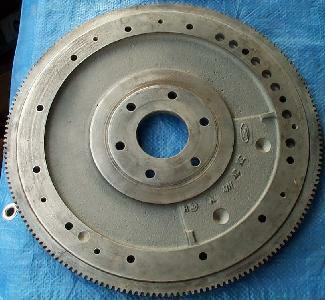 A manual transmission flywheel provides the mounting and friction surface for a vehicle's clutch disk and pressure plate. 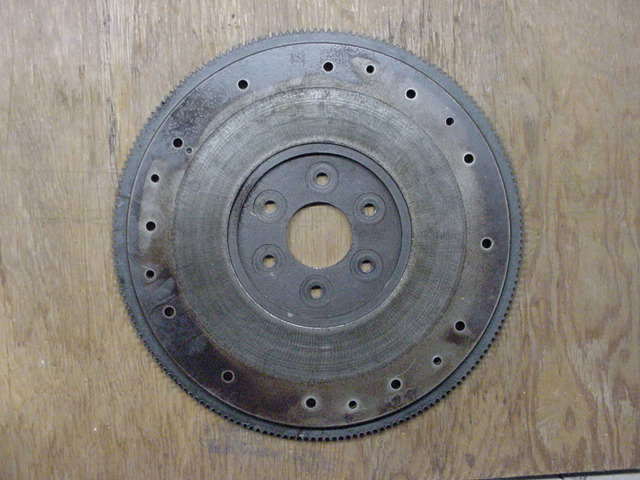 The pictures below show both the front (towards the engine) and back (friction surface, towards the clutch disk) views of a flywheel. 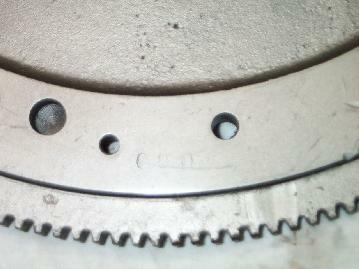 Both pictures below show a portion of a raised, circular counterweight near the gear teeth with visible drill holes that were used to balance the engine. Note that this need for external balance means that other FE flywheels (other than the base 428 and Mercury 410, which were also externally balanced) are NOT a proper interchange for 428 Cobra Jet use. 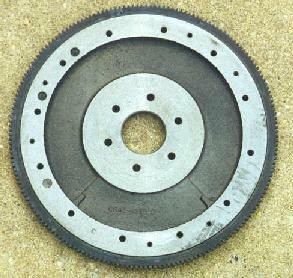 It appears that two flywheels were originally used by Ford, both using 184 gear teeth. 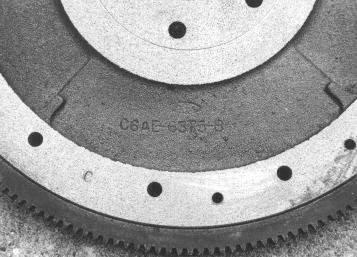 The C6AE-B flywheel was used on base 428, 410, and maybe on early 428 CJ engines. 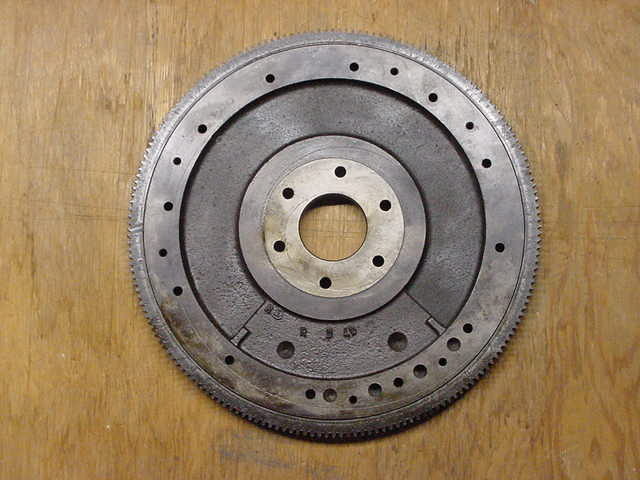 The C8OE-A flywheel is much more common, appearing in all three model years. 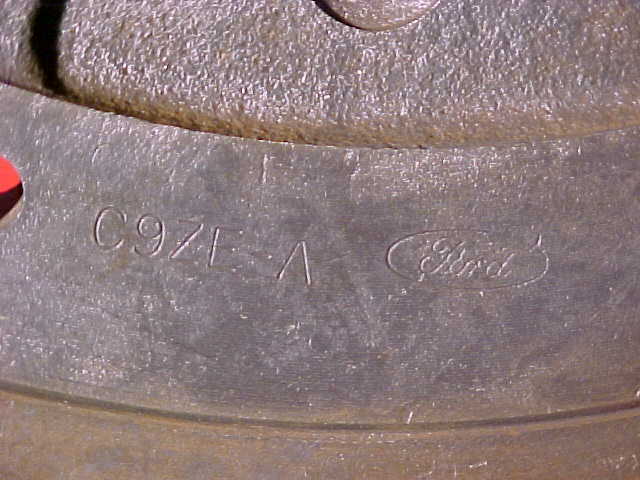 I've seen C8OE-A examples with numbers both cast-in (similar to the C6AE-B flywheel above at left) and stamped-in (as shown in the picture above at right). 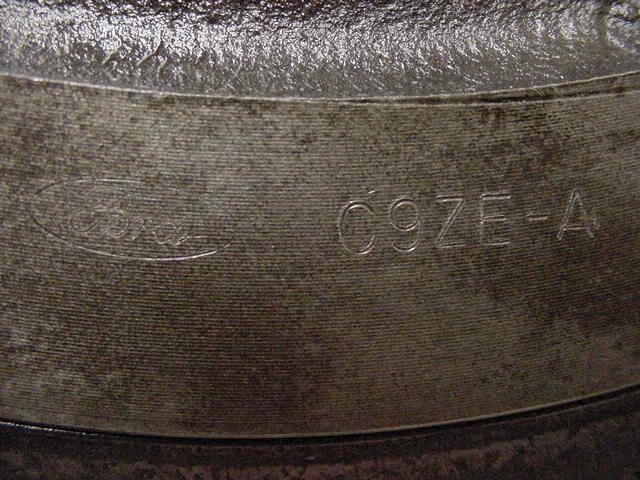 Super Cobra Jet flywheels have a stamped engineering number of C9ZE-A. Several images are available in the "Members and Friends" section below.